Welcome to Rotonda West which has 5 golf courses & literally just minutes from sandy beaches and some of the best fishing in the world! If you are looking for a clean, quiet, tranquil neighborhood - Rotonda West is it! 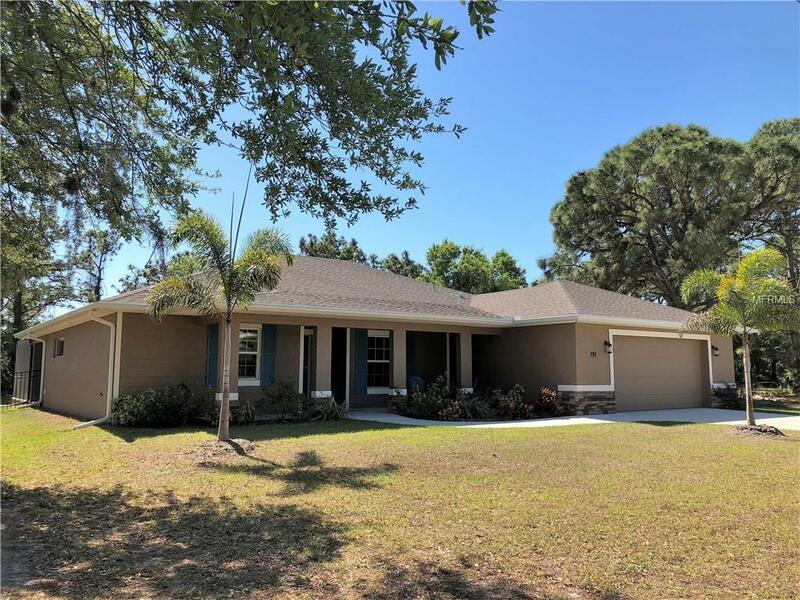 This fantastic, beautifully staged 3 bedroom + den/office pool home is nicely landscaped with a welcoming front porch. Step out back and see pavers all around the pool and lanai area with views of the greenbelt. The pool has a contemporary sheetfall water feature that will give a relaxing atmosphere. This is a heated salt water pool. The backyard is fenced with beautiful high quality wrought iron fencing . Inside, ceramic tile is throughout this delightful home with an open floor plan and soaring ceilings. The kitchen features newer stainless steel appliances and granite counters. A dining area is right off the kitchen overlooking the lanai and the backyard. The inside utility room has new washer & dryer and storage right off the kitchen. The private master bedroom has a slider leading out to the pool. The master bath has double vanities with lots of storage and a walk in shower. The closet for the master suite is large with plenty of space. With a split floor plan you can enjoy privacy while your family and guests take advantage of the two bedrooms on the other side of the house. With 3 bedrooms there is still a separate den / office / bonus room off of the main entrance to the home. Make an appointment today to see this truly magnificent home! Additional Water Information Several Public Boat Ramps in The Area. This Area is A Boater's And Fisherman's Paradise ! !